KEN YUSZKUS/Staff photo. 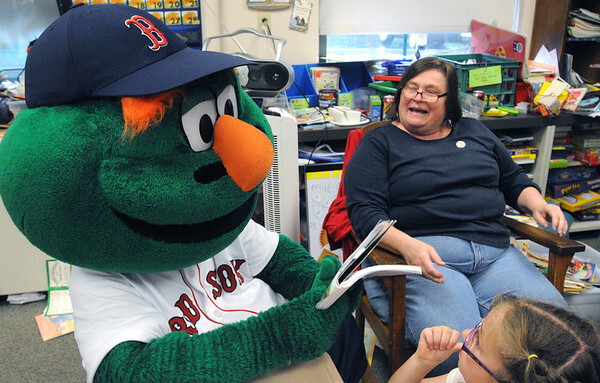 Red Sox mascot Wally the Green Monster surprised Cove Elementary School teacher Ellen Salley at her retirement send-off. Salley has been teaching second grade in Beverly for 35 years. 6/5/14.